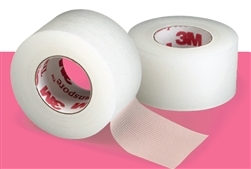 3M Transpore Clear Plastic Tape is transparent, perforated plastic tape designed for dependability and ease of use. It allows for easy, straight, bi-directional tears so that clinicians and users can tailor the tape for various dressings and devices. It is water resistant, hypoallergenic, and latex-free. Transpore Clear Tape provides good adhesion to skin and tubing. It is ideal for use in securing tubing and devices (e.g. catheters, I.V. tubing), anchoring bulky dressings, and for use when tape width must be customized. It is also porous for breathability. It is easy to tear while wearing gloves. 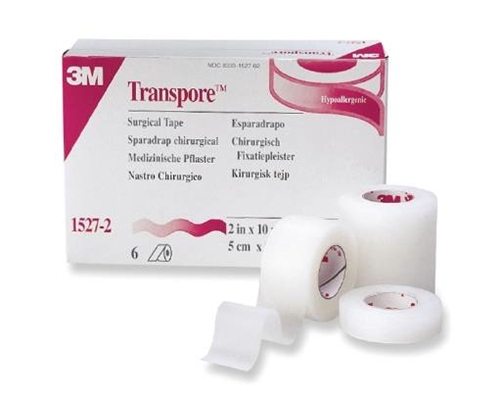 Transpore Clear Tape is non-sterile.